Editor's Note: The Army's Dr. Joseph Fontanella discussed the challenges of disseminating geospatial data to disadvantaged troops during a June 3 C4ISR & Networks webcast. The on-demand version of the event is available now. Click here for more. Officials at the National Geospatial Intelligence Agency have their eyes on the agency's future, starting with a handful of central priorities designed to provide the high-tech, multi-discipline intelligence critical to U.S. national security. With threats that continue to evolve and a technology space moving at a breakneck pace, NGA is in a prime position to take the federal government's growing use of data into a new era. 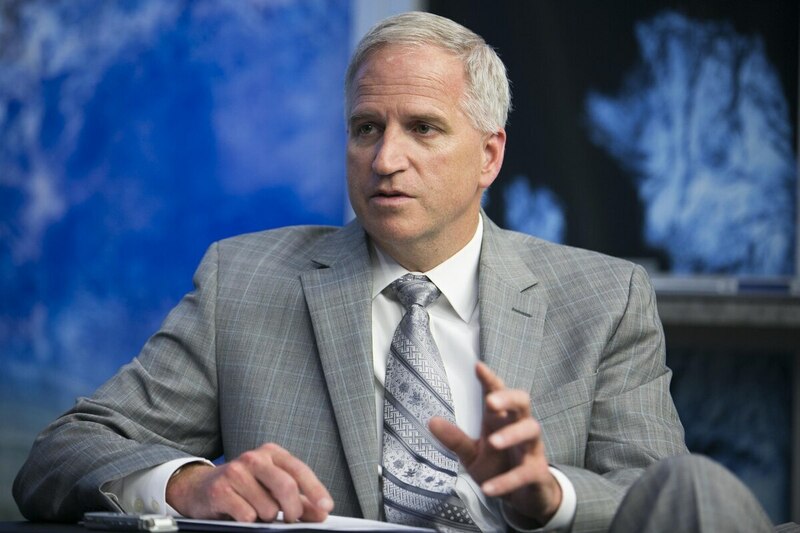 NGA Director Robert Cardillo's three priorities – mission-talent alignment, GEOINT services and the implementation of activity-based intelligence – aim to transform NGA's analytics capabilities, and with that transformation, protect the U.S. from future attacks, among other goals. By bolstering talent and training, deploying precise tools for analyzing intelligence and linking the intelligence community through the ICITE initiative, Cardillo hopes that intelligence operators will be able to better anticipate future events. 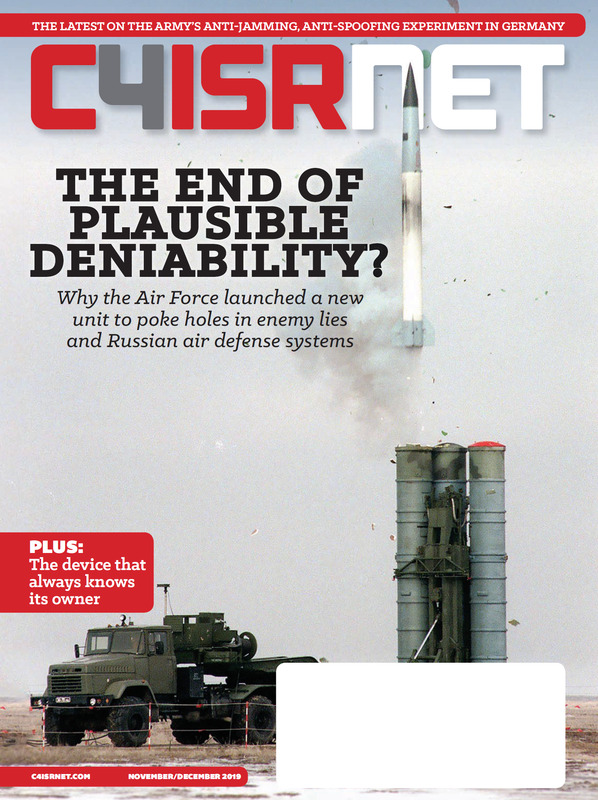 Cardillo recently sat down with C4ISR & Networks editor Barry Rosenberg and senior staff writer Amber Corrin to talk about his top priorities, how ICITE is connecting the intelligence community and the difference between predicting and anticipating what lies ahead. C4ISR & Networks:With support of the war fighter a given, what's at the top of your to-do list? ROBERT CARDILLO: There are three. And I've recently codified these priorities and specifically attributed my name to them. We've just put out a glossy for the workforce and it's unclassified, and [we] make sure that they see my picture and my signature next to these priorities because, as you know, when everything is a priority, nothing is a priority. The first one is called mission-talent alignment. What it really means is doing active, dynamic assessment of application of our most important resource, which is our people. Before you do that though we have to make sure that you're aligned against the proper missions, like war fighter support. We don't usually debate are we in, are we not in. We're going to do that one. But how you do it and where you do it and how you apply effort is a really difficult question, right? How much is enough and how much is too much, and given that we're responsible for the globe … you have to take risks somewhere. That's a key part of that. At the other end of that constant assessment is the application of the talent; so this is workforce development, career development, education training and assignment. I'm not saying we weren't doing this before, but we're going to invest more time, we're going to have to invest more resources. No. 2 is a couple of simple words: GEOINT services. But they're a very complex value proposition. I think that NGA's mission and vision was fine — more than fine — and I'm not going to come in and turn that over. Now you may see a new NGA strategy soon, but that's just how we're going to get there. A key part of that was putting the power of GEOINT in the hands of our customers. That was a key segment of our value proposition. GEOINT services is the instantiation of that commitment. So contrast my day; if you needed Cardillo's work from the 1980s you better have a truck to come pick it up because it's heavy, it's on lithographic paper or it's on maps and charts. Today what you need is a browser … that's how we're going to convey into your space, and space and time, and space and operational environment, and space and decision planning. GEOINT services is that provision … here's the interface through which you and I will exchange your questions and my responses and so in some cases you could come to that browser and you might know exactly what you need: 'I need the road infrastructure in Monrovia, Liberia, because I have to move this amount of tonnage across this terrain in this amount of time.' Great, come through my browser, grab that infrastructure layer that you need, take it and go do what you want with it. In other cases you might come in there with a question: 'I don't know how to get this amount of material from here to there in a certain amount of time.' We'll do that layering, we'll do that geographic analysis, terrain, weather, everything and it will be all soft copy, you can put it on your smartphone or you can put it in your tablet. The last piece I'm using [is] a term called activity-based intelligence, actually adopted by the [Director of National Intelligence] some time ago. And the reason I'm focusing on this area is because I think it best captures how we need to think about our analytic value proposition in the future. Activity-based intelligence makes some assumptions that while that extraction still must be done, computers more often than not will be able to do it in the future. The source material is getting more and more conversant with that computer language. And I want the analyst spending more time on, 'What is the sum of all that activity mean in a temporal sense, if it was here, then it is there? And if I anticipate it will be here; how do I model my assumptions and my hypotheses so as to better explain the threat to you or the opportunity to create a vulnerability in that threat?' That sums up activity-based intelligence and it's good wrapper for the way I need our analytic workforce to think. How predictive is activity-based intelligence? Can you use it to predict? CARDILLO: Well I'm not a big fan of predict because I don't believe that's the business we're in. I believe we're in the business of anticipating and assessing likelihood of future conditions. You might quibble with me about that … I think predict is too soft and I think that our job is to assess conditions as we know them, and project those conditions into the future. The world is a messy place and we've had an uneven history as an intelligence community in our ability to predict, to use your word. I strongly feel with my lesson from [weapons of mass destruction], 9/11, is we need to do a better job of explaining what it is that future condition is and I just feel like prediction sometimes makes it sound like that's going to happen. And we really need to craft our assessment of that future condition I think more carefully. Our value proposition really needs to be, here are the future conditions that we see. We see that condition as being most likely, that then gives you the policy, negotiation, military operational opportunity to make your own decision within your own risk tolerance to create your own effect. And that's what we need to do. Let's talk about ICITE a little bit. You have 25,000 users on the common operating environment between the Defense Intelligence Agency and NGA. So what does that mean? Why is that a good thing and how is that rolling out to the other intelligence agencies? CARDILLO: ICITE is fundamental to the future of our success. There are many other ways that we could probably get our future not quite right, but if we don't get ICITE right we're in a world of hurt. And so NGA, as are my peers under ODNI's leadership, we're all in. And why are we all in? Not too long ago, if you came into this building and you had a different badge on — as in, you were cleared for top secret — we would give you a logon to something called NGA Net because you're NGA. So log onto NGA Net. If you went up and worked for Fort Meade they would give you a badge, you would walk in and guess what you would log onto? NSA Net. Everybody is on their own net. There's efficiencies in that within the building, but there are great inefficiencies of that across [the intelligence community]. Now please don't think that nets can't talk to nets, we get that. So can I email NSA and CIA, of course, but that's not the point. It's not about email; it's really about the confluence and the sharing and about the competition and the contextualization of our data. It's a bit of a buzzword, but it's true: Data is very big these days and it's getting bigger all the time. My era of taking a frame of imagery and exploiting little bits of that data was orders of magnitude lower than what we're dealing with now. And every day and every week and every year it gets bigger. So if we are to deliver on that value proposition that I discussed, those future states, we've got to find a way to conflate and compete and conjoin and consider all of that data. So ICITE now is the plumbing that will provide us a chance to get to that point I had talked about, where the computer is going to do more of the work for us. This way in ICITE I can build that model about that future scenario, and that model is my hypotheses about the future. The computer will then compute the data, and it will test the proposition just like we've always done in intelligence. 'Hey, is that assumption valid or not? Well let's test it against different conditions. Oh, we've got new information.' It's either affirming or countering the assumption that we had. We would just do that on paper; so ICITE really is the ones and zeros, and I mean that pun intended. It's the basics that we need in order to even get to any hope of having that sort of create coherence out of what could be very chaotic data. So what's next for ICITE – what does the road map look like?